Other mineral resources: phosphate, zinc, iron, gold, uranium, tungsten, kaolin, silicon, among other. The new industrial revival policy highlighting 12 strategic sectors, namely the steel and metalworking, hydraulic binders, electrical and household appliances, industrial chemistry, mechanics and automotive, pharmaceutical production, aerospace, construction and ship repair, advanced technology, food processing, textiles and clothing, leather and timber products, wood and furniture industry as well as outsourcing. The Master Plan for Tourism Development. Agricultural and Rural Renewal Program. Renewable Energy Program (solar, thermal and wind) to produce 22 000MW by 2030. Development Plan of Fisheries and Aquaculture Activities by 2025. Geostrategic position allowing proximity to the European, African and Arab markets. Airports : 36 airports, including 16 international. Ports : 45 maritime infrastructures including 11 commercial ports, two (02) oil ports, thirty one (31) fishing ports, one (01) marina and 2,200 maritime traffic lights. 1.5 million students, including 35,000 registered in doctoral training and 90,000 in technical areas. Important tax incentives, up to 10 years of exemption, depending on the location and size of the project. Tax exemptions throughout the life of the project for exporting projects. Temporary Exemption for 5 years of companies benefits tax (IBS), Global Income tax(IRG) and Tax on the Turnover and 3% bonus of the interest rate on bank loans granted to investments in certain activities within the sectors of steel and metal industries, the hydraulic binders and Electrical Appliances, Industrial chemistry, mechanics and automotive pharmaceuticals, aerospace, shipbuilding and repair, advanced technology, food processing, textiles and clothing, leather and derivatives, wood and furniture industry. Exemption from VAT, customs duties, taxes having equivalent effect or any other charge for the equipment needed for investment by industrial companies in the field of research and development. 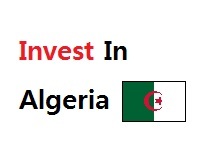 Reduction of 50%, companies benefits tax (IBS) or Global Income tax(IRG),in common law for individuals and legal entities, activating and fiscally domiciled in the wilayas (provinces)of Illizi, Tindouf, Tamanrasset and Adrar, for a period of 05 years from January 1, 2015. Support by the Public Treasury Administration of the bank interest for investments made by industrial companies for the acquisition of technology and mastery to enhance the industrial integration rate of their products and competitiveness. 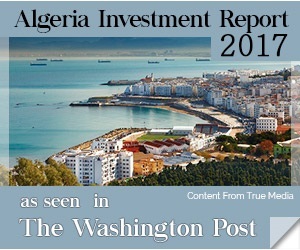 Extension until December 31, 2019 of the application of reduced rate of customs duty on acquisitions of equipment and furnishings not produced locally by hotel standards and within the scope of modernization and upgrading under the “Quality Plan Tourism Algeria” -The list of equipment and furnishings concerned is determined by the inter-ministerial order of March 2, 2014.